Here are the five red wolf pups sharing one of their first howls with the other wolves in the sanctuary (well, one of them sleeps through it). 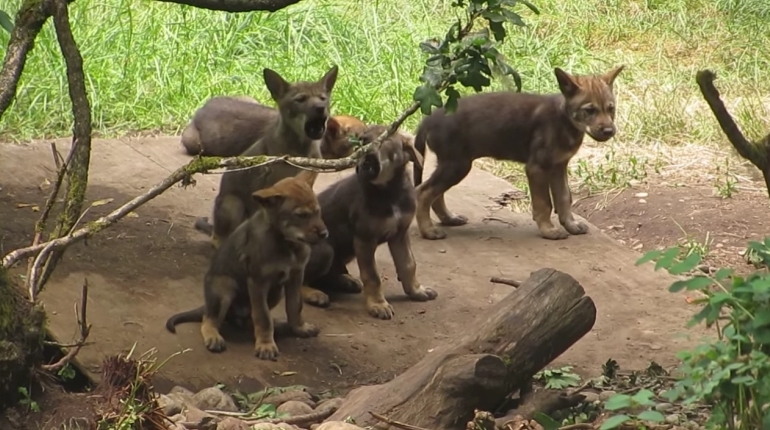 The pups and their parents are part of the Red Wolf Species Survival Plan. A litter of red wolf pups at Wolf Haven International has reached their 5-week birthday and are starting to get a little more adventurous. The Red Wolf Species Survival Plan was established in the 1980s to restore the red wolf population. It began with 14 founding wolves. Each pairing is evaluated for their genetic suitability and sometimes wolves are relocated to other facilities for breeding. The endangered species was bred in captivity and reintroduced into the wild in 1987, and now there are about 50 wild or free-ranging red wolves at the Alligator River National Wildlife Refuge in North Carolina. 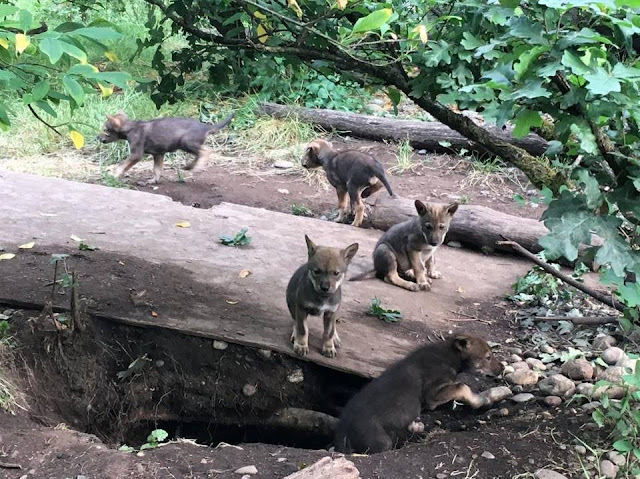 There are about 200 red wolves that are part of the survival plan program. 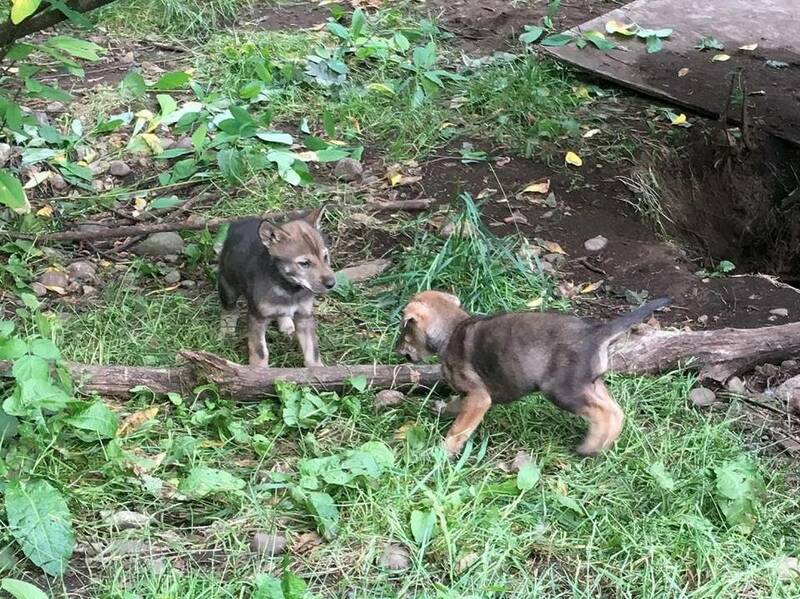 Responses to "First Howls: Rare Red Wolf Pups Venture Out Of Den "